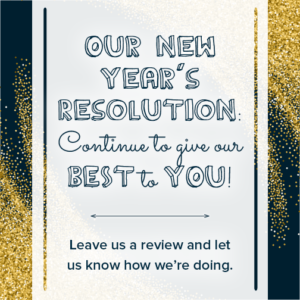 Online patient reviews are shaping dentistry as we move into 2017! Reviews…. we ALL have left one a time or two. Have you ever thought about reviewing something other than your local restaurant? At Montclair Smile Design patients points of view matter. Patient experiences matter. When our patients have a good experience at our practice, we want to hear about it! Luckily, we have quite a few platforms that can be used to leave these remarks. These platforms and the constant availability of patient reviews brings about a new age of “shopping” for dentistry . 10-15 years ago someone looking for a dentist would go to the one closest to them or most convenient in location. It’s not exactly the same these days. Patients now tend to be labeled as consumers because how we choose a dentist has shifted. We rely heavily upon other patient reviews and word of mouth in making choices. Being a dental consumer is something that (surprise!) has quite a bit of research behind it. As the revamp of the healthcare system has come about the phrase “healthcare consumer” is often heard in our daily lives. The healthcare system includes the dental field as well. We as a dental practice take pause to reflect on how dentistry is changing and strive to keep constant the things that we appreciate. As 2017 quickly approaches our office ideals still remain unchanged: Our patients are number one! No matter what the labels are (old or new) or how you find Montclair Smile Design, our patients will continue to receive the best dental care that we have to offer. Did you have an excellent experience with us? Leave us a review at one or more of these places: Yelp, DemandForce, Google + and our Facebook page! Join us as we celebrate the successes of 2016 and the unknown possibilites of 2017. We are grateful for the things that we have been able to accomplish over this past year in our community, for our patients and for our families!